For many of us, our first introduction to the mighty and majestic Royal Bengal Tigers happened as a wicked cunning villain of Rudyard Kipling’s “Jungle Book”. The same animal in an entirely new avatar was shown in the 2012 film, “The Life of Pi” as a beautiful, friendly companion of a boy lost in the sea. In fact, the Royal Bengal tigers have adorned our movies and books with various shades of its personality — the tough-as-nails Master tigress in the Kung-Fu Panda franchise, the energetic and gregarious Tigger from Winnie the Pooh, the man-eating predators of Jim Corbett’s books…it’s a long list! However, if current reports and statistics are to be believed then the magnificent Royal Bengal tiger will only remain a subject of imagination and fantasy for our future generation in less than 50 years’ time. According to a study in Journal Science of the Total Environment, the tiger population is dwindling at an alarming rate. Around 97 per cent of the world tiger population perished in the last 100 years and according to the latest statistics, only 3,890 tigers are left in the world, out of which 2,226 are in India. The threat to the habitat of the big cat has been a perennial problem in both India and Bangladesh for a long time now. However, conservation of tigers is extremely important for the maintenance of the ecological balance as apex predators, tigers shape the ecosystems in which they live. They prevent over-grazing by limiting herbivore numbers and maintain ecological integrity. Tigers are solitary animals and have large home ranges making them excellent ‘umbrella’ species providing space for a variety of other species to flourish. In India, more than 350 rivers originate from tiger reserves. These reserves also sequester carbon, provide oxygen and slowly release groundwater to regulate floods. Protecting the tiger will, in turn, protect these vital habitats. Saving the tiger will help communities and local populations benefit from habitat resources like wood, food, grazing, and tourism. The danger of any possible extinction of the tigers and their habitats demands urgent attention and action. Let’s look at the main reasons behind this impending danger looming over our national animal. Poaching is a major reason behind the dwindling Tiger population in India and Bangladesh. It is rather very sad to know that villagers were lured into killing a tiger for less than 5000 INR, which is then sold in international markets for a hefty price often exceeding $50,000. The Environmental Investigation Agency reported the death of at least 33 tigers in the Indian subcontinent by poachers alone. Tigers are big animals that need 6,600 pounds of prey meat to survive. Every year, and with growing civilization and industrialization the habitat for the big cats are shrinking at an alarming rate. 21 tiger reserves in India out of 28 had lost about 250 square km of forest from 1997 to 2002. Apart from that, villagers living on the periphery of the forest pose a major threat to the habitation of the tigers by grazing cattle, cultivating farmland and extracting minor forest products like bamboo. Mangrove forest cover in the Indian Sunderbans, a major tiger habitat, has been depleting alarmingly over the past few decades. The fragile ecosystem of the Indian Sunderbans that, other than being home to the Royal Bengal Tigers, also harbours a population of 4.5 million people. A study by the School of Oceanographic Studies, Jadavpur University, reveals that from 1986 to 2012, 124.418 sq. km. mangrove forest cover has been lost. This process in response to climate change and sea level rise poses a serious threat to the mangrove forest in the future. According to a study published in the Deccan Herald, the tiger population’s lack of diversity in the gene pool is proving to a source of serious threat for the Royal Bengal Tigers of India. The big cats from Ranthambore used to take the Chambal river route to reach Kanoi National Park in Madhya Pradesh. With increasing urbanisation and flattening of river banks, this migration has become impossible resulting in isolation, which is a source of a great problem for the Royal Bengal Tigers of India. Tourism is a major problem in the forest region. In order to accommodate a large number of tourists, the governments and private contractors are building more roads, shops and hotels encroaching upon the habitat of the tiger. The fragmentation in the landscape is causing a major problem in the gene pool diversification of the tigers. In an effort to save the Royal Bengal tiger of India the government of India has framed the Constitution of National Tiger Conservation Authority with effect from September 2006 for strengthening tiger reserve management and preparation of Tiger conservation plan. 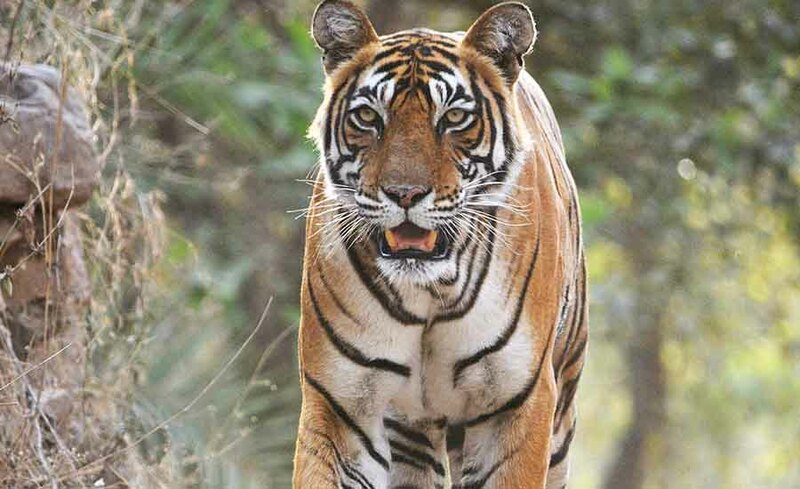 The government has enhanced the punishment for poaching and other offences related to the core area of Tiger Reserve. The Government of India has constituted a multidisciplinary tiger and other endangered species poaching control Bureau from 6 June 2007 to control illegal trade in animal parts. Creation of new Tiger Reserves in Madhya Pradesh, Odisha and Chhattisgarh have been approved. Apart from this, the Rajaji National Park in Uttarakhand, Orang national park in Assam and wildlife sanctuary in Arunachal Pradesh has been declared as the new Tiger reserves for the country. The government is providing rehabilitation packages to villagers ranging from 1 lakh to 10 lakh rupees per family for moving away from the core critical Tiger habitat. 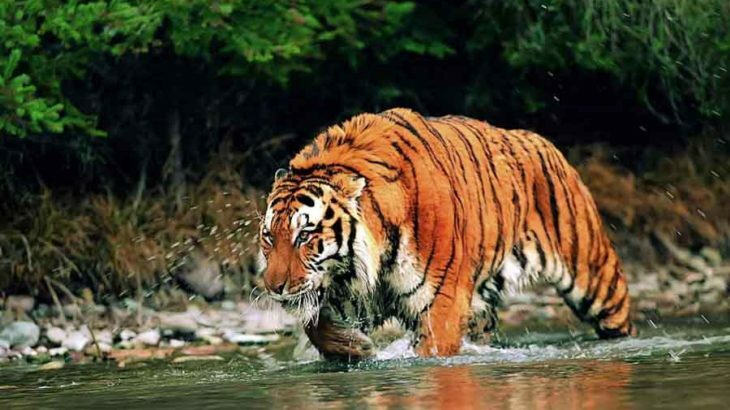 In the international Arena India has signed a protocol in September 2011 with Bangladesh for the conservation of The Royal Bengal Tiger of Sundarbans. India also has a bilateral understanding with Nepal and China for controlling illegal trade of wildlife products. In an effort to mobilise international public opinion for conserving The Royal Bengal Tiger, India has also created a special Tiger Protection force in the states of Karnataka, Orissa, and Maharashtra with 60% Central assistance. Online Tiger crime database in collaboration with TRAFFIC INDIA has been launched and steps are taken for modernizing the infrastructure and field protection measures for effective monitoring and patrolling. Also, many NGOs across the country are working towards preserving the natural habitat and population of the Royal Bengal Tiger. Here’s a list of some of them. Become more aware – Conservation starts with awareness. As a responsible citizen, we should not only be aware of ourselves but also spread the word about the danger looming on the tiger population of India. We can join or create online forums to raise awareness among friends, acquaintances, and peers. Make your voice heard – As responsible citizens, we can voice our opinion to the policymakers through newspaper columns or open letters. Be a responsible tourist – As a tourist, we should enjoy and experience the beauty of the wild but be sure not to disturb and pollute it. When visiting any wildlife area, tiger reserves or their natural habitats, in particular, always follow the forest department guidelines. Say ‘No’ to wildlife products – Don’t buy any tiger parts or any other products from the forest like wood, bamboo or paper to discourage those making a living out of disturbing the jungles to procure and sell these items. It is our duty to inform the government officials if any incident of poaching comes to our notice. Remember, declining demands can only stop wildlife trade. Be actively involved – If you want Royal Bengal Tigers to have a more promising future, thoughts and words are not enough to bring the change. Active involvement is needed. But you may not have the time or the luxury to dedicate your time or resources to more fruitful actions. Fortunately, there are organizations like Grow-Trees that can help you contribute towards developing the habitat of the Royal Bengal Tigers in Sunderbans and also other parts of India — all with a click or a tap on your smartphone. They can plant a tree on your behalf for as less as 85 INR and an entire grove for 850 INR. Visit their website to know how you can make a difference starting today! If you wish to preserve one of the most beautiful creations of Mother Nature and protect our national pride, it’s time to speak up and take action.